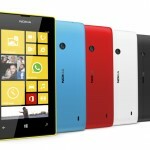 Finally, The New & The Most affordable Windows Phone 8, Nokia Lumia 520 is now Available in Indonesia. Start Today, April 29 2013 Friday May 03 until May 10, 2013 Nokia Indonesia open the Pre Order for Nokia Lumia 520 with special price and Telkomsel data plan. Get it Now and get Special Price during Pre-Order.